RED OAK—She has been singing all her life. In fact, her first performance was at the age of 11 in front of her family. That first song was “At Last” by Etta James. Now 23-years-old, Jade Flores has an even more exciting performance to talk about. 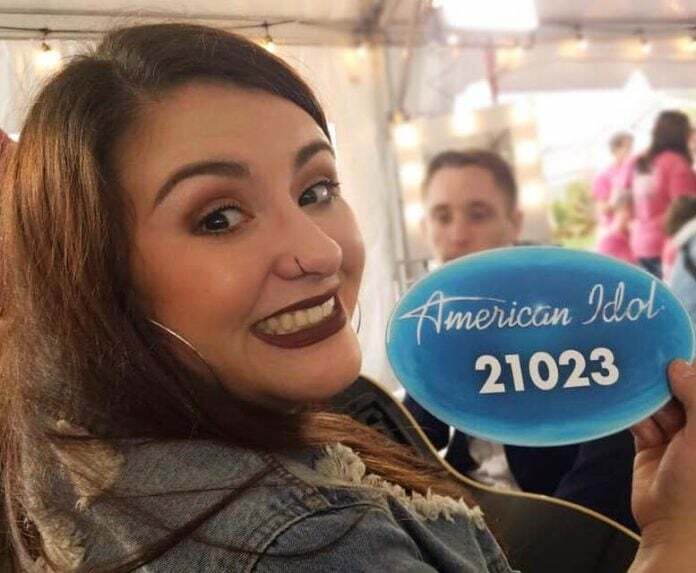 The Waxahachie native and Red Oak resident will be featured on “American Idol” during the March 18 episode as she auditions in front of the all-star judging panel of Luke Bryan, Katy Perry and Lionel Richie. The path over the last 12 years though has been a long one. A path that included a brush with death and an athletic injury that put her soccer and boxing plans on hold and forced her to change her direction. “I am a funeral singer,” she says now. But one does not start out with a mission to be a funeral singer. Flores is the first to explain that was not always the path her music took her. After she found out she would not be able to play sports anymore due to a knee injury, she convinced her father, a local firefighter, to buy her a guitar at the age of 13. From there she began playing every second Saturday at the Red Oak Opry, which is still held at the local Cowboy Church. Then she began playing gigs across Dallas/Fort Worth at venues like House of Blues, Gilley’s and the Fort Worth Stockyards. Just as fast however, she didn’t die. Two men appeared out of nowhere and saved her. “After surviving the accident with no serious injuries, I knew I had a bigger calling,” she explains adding when her father saw the truck and what happened he was almost visibly weeping because of what could have happened to his daughter. However, life altering situations make life altering stories and reasons for change. And that happens no matter your age – it was then that Flores knew her calling. “As much as I loved doing gigs, I felt I needed to do more with my voice in way I could truly help people,” James says. Soon after she began what she calls a “funeral business” singing at memorial services. Her favorite song to sing is “How Great Thou Art,” and she says she believes in healing through song. “This way, I can truly help people by mending their hearts and providing comfort like music has done for me,” she says. Jade Flores auditions for AMERICAN IDOL – Coverage (ABC/Josh Vertucci). During her first audition for “American Idol,” in Plano on September 3 she sang Johnny Cash’s “Folsom Prison Blues” which left the judges telling her she wasn’t current enough. So instead of giving up, three days later she and her father took the drive to Austin to audition for the show one more time. This time, the judges got it and she even got a standing ovation in Austin. 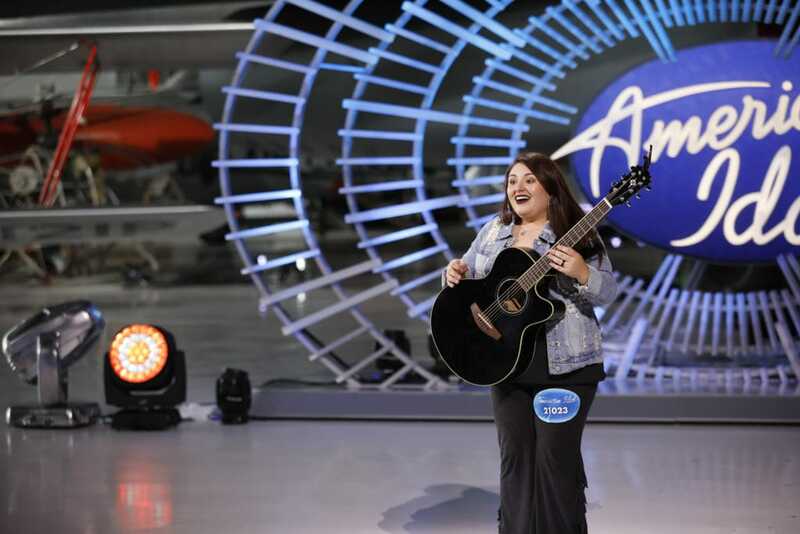 Check out Flores on “American Idol” Monday, March 18, episode 205 at 7 p.m. CST as “American Idol” travels to Los Angeles, California; New York, New York; Louisville, Kentucky; and Denver, Colorado, search for America’s next superstar.